[Image: A "contour map" of Hoover Dam; view bigger]. I've found myself in an ongoing thought experiment for the last few months, trying to imagine what it would look like if theoretically non-domestic architectural styles were used to build the houses, or cities, of the future. 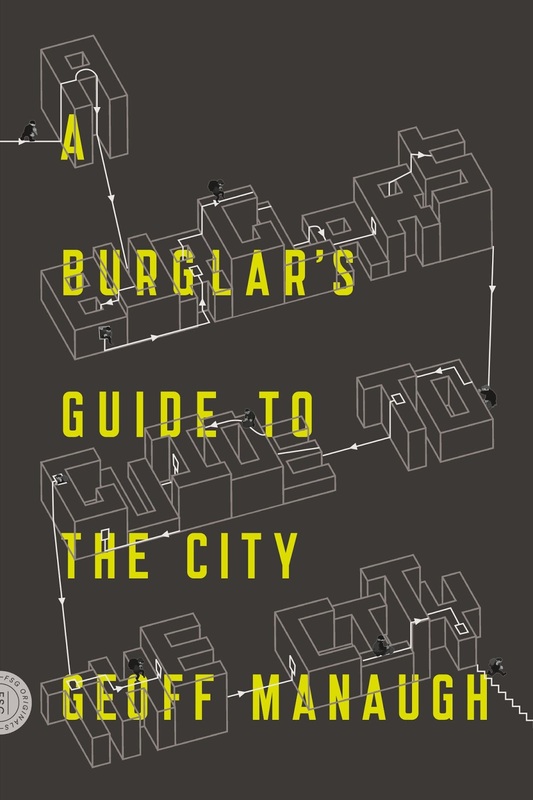 There are some obvious examples – designing houses like football stadiums, Gothic cathedrals, military bunkers, or nuclear missile silos – or even like Taco Bells, for that matter, or air traffic control towers – but there are also some less obvious, and far more interesting, possibilities out there. Why not build your house like a gigantic gravity dam? It wouldn't have to hold back water – so there'd be no flooding to worry about – and you'd have big windows on either side. You'd span canyons and have an incredible roof deck. In fact, when I first saw the image, below, posted on The Cool Hunter back in December, I nearly passed out. [Image: A development in Songjiang, China, via The Cool Hunter]. Alas, it's not a dam at all, but the inner wall of a quarry (I still like it). 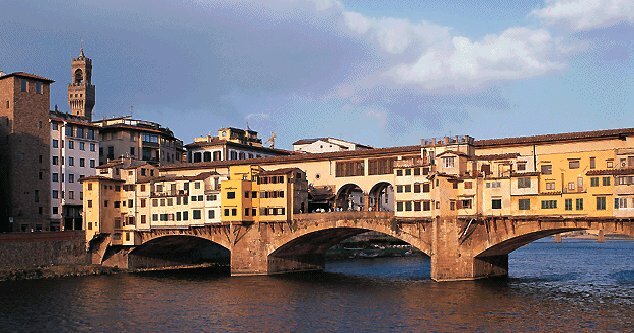 [Images: The Ponte Vecchio in Florence]. 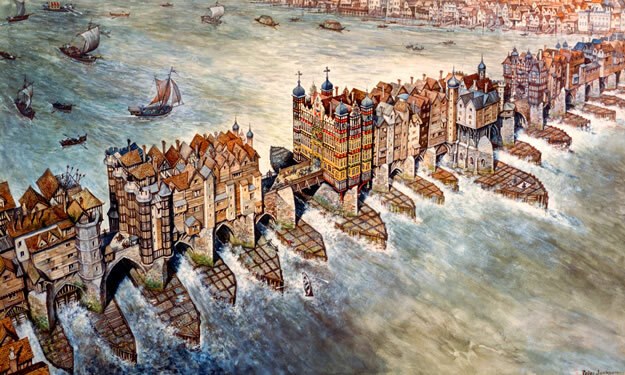 [Images: An image of "new houses" built across the river, followed by a spectacular image, by Peter Jackson, of the Old London Bridge itself]. 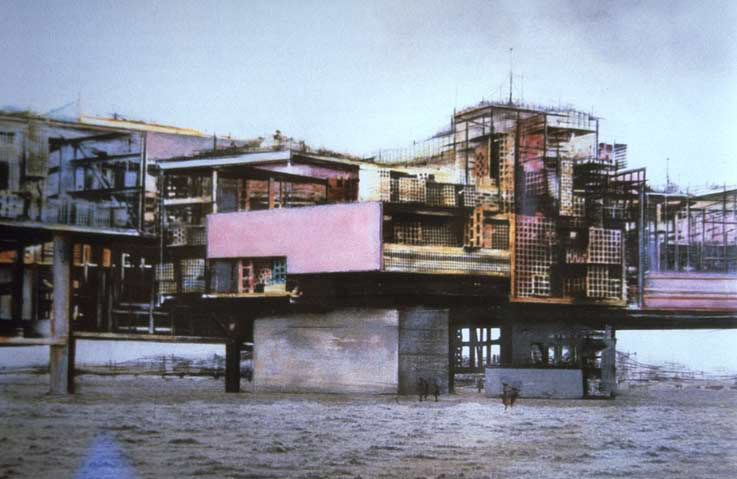 [Images: Constant's New Babylon – not the same as this New Babylon, of course... though that would be interesting]. – you'd build habitable dams. A whole suburb full of dam-houses, holding back no water. Great arcs of concrete towering over the landscape, full of kitchens. And there's not a river in sight. Or dozens of micro-dams, only three or four stories tall, forming Oscar Niemeyerian monoliths arranged around a cul-de-sac. Families barbecue dinner in the backyard, shaded from the late summer sun by volumetric geometries of well-rebar'd slabs – great dorsal fins of engineering, sticking up from the landscape on all sides. 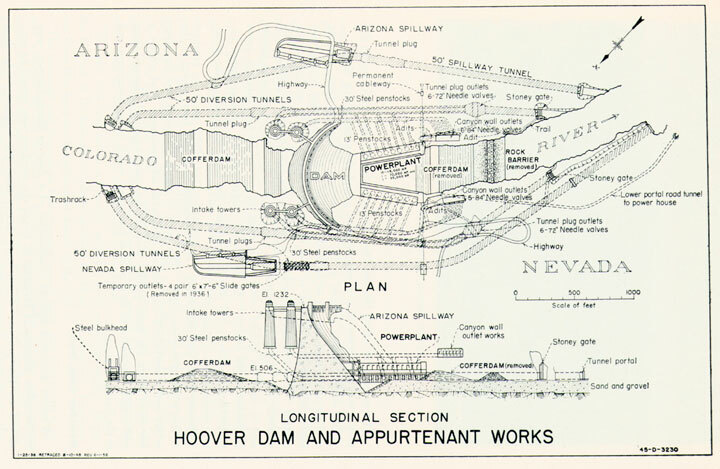 [Image: The "mechanisms" of Hoover Dam; view slightly larger. Imagine living inside a valve, or inside a penstock...]. You'd come home to this! 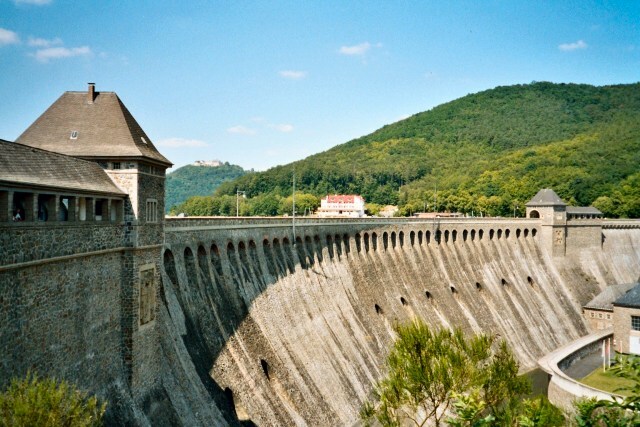 [Image: The Eder Dam on the Edersee, Germany]. Your own little love-nest, nestled between hills – or standing out in the middle of nowhere. 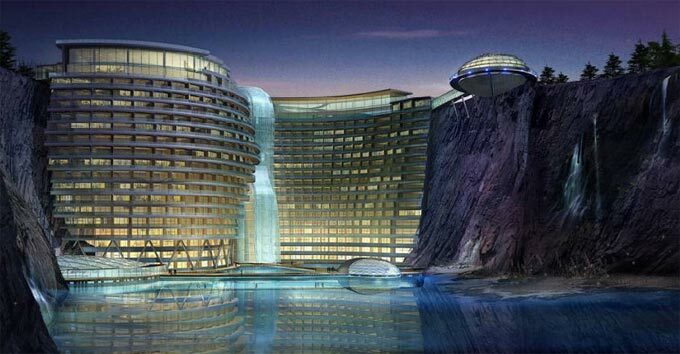 The bachelor pad of the future... is a diversionary dam. But habitable dams aren't even the main source of structural ideas that, I think, have been sadly neglected when it comes to designing houses; what really gets me going is thinking about how to use elevated highway ramps as a new form of single-family housing. 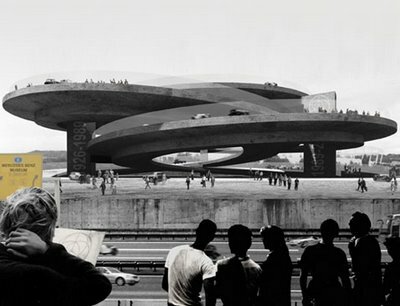 [Images: A truly awesome image of an elevated highway-house, architect unknown (if you know, please inform! 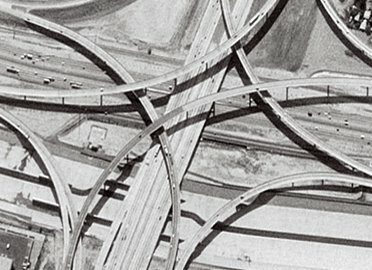 ); and some L.A. freeways, photographed by satellite]. Missed that, actually. Thanks for the link! I've always wanted to live in a church, level all the pews and put my bed up by the pulpit. Or an old gymnasium with 100ft ceilings. It would be impossible to heat or cool, but the sheer impresario amazingness of such a living arangement would cancel out any suffering. 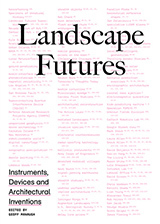 The last image, the one with the highway-building, is the Mercedes Benz Museum proposal (2002, Stuttgart) by Alberto Campo Baeza. I don't particullary like his work, but this one is trully great. I love that photo of the Sonjiang quarry so much! This is a great Blog today Geoff! 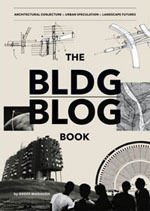 This reminds me of a Sciarc lecture that I saw on 10.12.05 by the Copenhagen firm PLOT (now defunct). They showed two huge theoretical projects, the first one was a gigantic star-shaped island shipping port for the Netherlands, it must have been bigger then our Long Beach port. The great part of the proposal was that it was a seven pointed star the same as the Mearsk shipping logo, and visible from space. 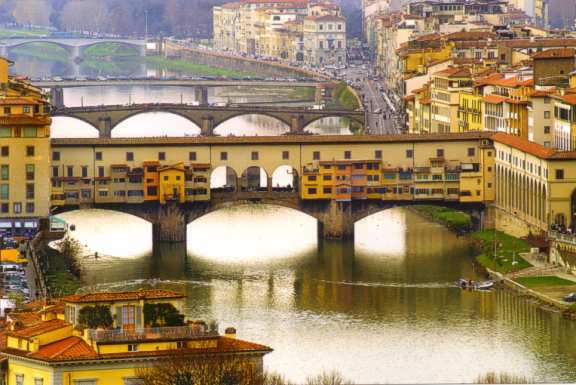 Look for the bridge icon. 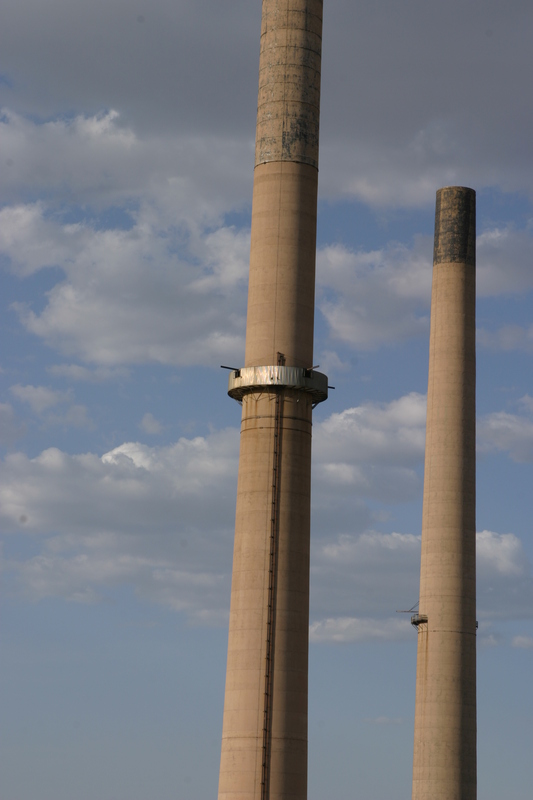 The blog also reminds me of a couple of awesome smokestacks north of Tucson in the town San Manuel. The two 200 ft tall smokers are all that is left of a giant copper smelter. Halfway up the towers are mechanical rooms, that cling to the side of the towers. They have always made me want to live up there, make the rooms my home, like a bridge troll. In this case looking out over the Sonoran desert, with views 100 miles south to Mexico, and numerous hidden ghosts towns littering the surrounding mountains. Wow, that PLOT proposal for the bridge project is awesome. The various layers, all capped off by a usable roof terrace/public park? It's a good idea. But what's your case for it? How would it expand other than linearly? Is it more than just one surface condition? What is it separating? Remember, just because it is not touching water, does not mean it is not a dam. New Babylon's an interesting inclusion, as there you have an imaginary city built first around a way of life-- the mobility of these imaginary new babylonians. 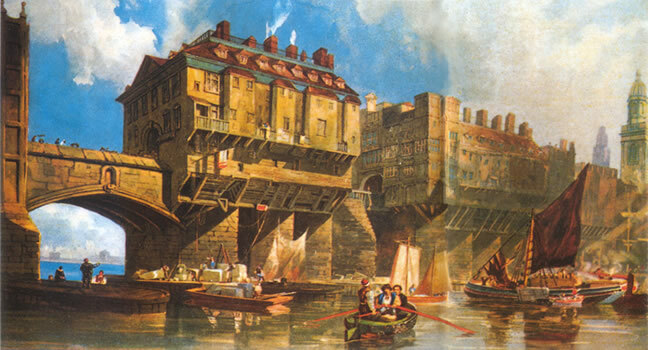 The fact that the structure ends up looking like bridges is more of a consequence of this thought experiment on Constant's part; he's imagining a structure you'd have to build over the remainders of the cities of today, after the revolution he's forseeing. In author William Gibson's book "All Tomorrow's Parties", the San Francisco Bay Bridge has been turned into an informal residence after an earthquake has rendered the structure too weak to carry traffic. but WHY???? I can see affixing housing to or incorporating it into monumental engineering works, but WHY would you IMITATE engineering forms for housing? 2) Have you seen The Postman, starring the irrepressible Kevin Costner? If I remember correctly, Tom Petty (playing a post-apocalyptic Tom Petty) lives in a dam-based village in post-post office America. If you haven't seen it, rest assured, Kevin Costner dramatically restores justice and order by...delivering mail. I was reminded of one of Paolo Solieri's proposals. His thinking was, instead of sending the water and electricity from a dam several miles to a city, why not just build the city in the dam? It's an idea he seems to have played with a lot over the years-- making infrastructure, and the communities it serves, one and the same.